I am an experienced PPC Consultant in London who has been providing paid search and PPC services to a large variety of clients from SMEs to large brands during various steps of their brand life cycles. I am the Head of SEO & SEM for a top Digital Marketing Agency in London, a freelance PPC Expert and a commercially focused PPC Specialist. I hold two master degrees (MBA and MA Marketing & Innovation), won numerous awards and managed several large multi million branded businesses and teams for Hilton and Holiday Inn. I offer a range of highly professional SEO services complemented by powerful commercially focused search engine advertising options. In addition to social media campaigns and native advertising services my paid search and PPC services include bespoke online advertising campaigns on Google, Bing, Amazon and eBay. Hence if you are looking for services of a professional internet marketing consultant do Get in Touch. I offer professional Google Adwords services bespoke to your business with an exceptional focus on maximising your ROI at all times. Experienced PPC Consultant in London. Certified PPC Expert. Innovative PPC Specialist. Find information on google ads costs, what is Adwords, how does google Adwords work and how to use Google Adwords for your business. Bing Adwords represents an alternative to the Google Adwords advertising channel. I conduct thorough research to ensure maximum return for minimum cost. Experienced Internet Marketing Consultant / PPC Specialist in London. Find more information on Bing Ads Cost, what is Bing Adwords,how does Bing Adwords work and how your business can benefit from using Bing Adwords. Amazon advertising is a highly overlooked opportunity to grow your business or create new business models on the competitive Amazon seller platform. Innovative PPC Consultant in London. Expert Internet Marketing Consultant. Grow your business with Amazon advertising, Amazon ads cost, what is amazon advertising, and how does Amazon advertising works. If you are business employing an eBay relevant model then eBay can deliver both growth, new business models and gain you market share over your competitors. Any business having a eBay relevant product will benefit from eBay PPC services. If you would like to learn more about eBay ads cost, what is eBay advertising or how do eBay PPC services work I look forward to answering your questions. As a PPC Expert, Remarketing and PPC Consultant in London I spend most of my time managing paid search campaigns in Google AdWords simply because Google has the highest paid search market share by far compared with any other search engines. In addition, Google Adwords “smart” algorithms improve by the day driven by the billions of interactions and “observation” of user behaviour. This means that Google will try to optimise the click through rates of your campaign… after all their paid search revenue represents 90% of their total earnings. The amount of information that Google learns about its users has most often been called “creepy”, however as a PPC consultant I welcome the data insights allowing me to continuously refine and improve your search engine advertising campaign. 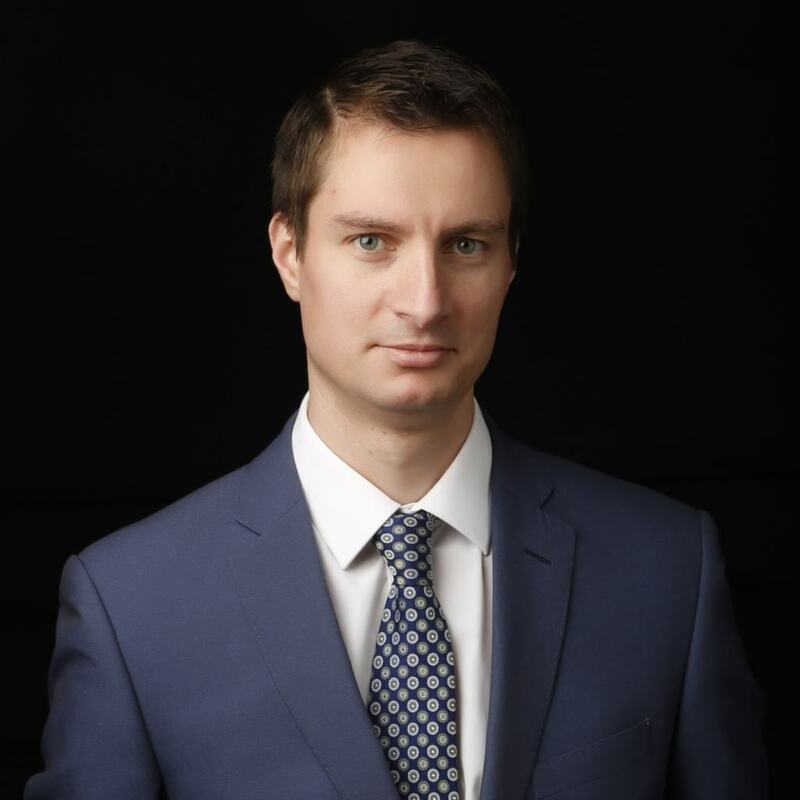 While working both as a freelance PPC Specialist and as Head of SEO & SEM at a top digital marketing agency in London I have built and managed numerous Google Adwords campaigns for businesses including established SMEs, startups up to large iconic brands, and always delivered results. I am a PPC consultant in London with an intrinsic desire to achieve…as your PPC Consultant I will treat your business as my business at all times. When your PPC consultant in London, your PPC specialist or you PPC expert recommends you to to run Adwords campaigns he/she generally refers to the two main paid search/PPC services most often used to run pay per click campaigns: Google Adwords and Bing Adwords. These two PPC services are, due to their largest market share (Google Adwords in particular) the de facto choice for every PPC specialist in London. They are also proven to bring the highest return on investment. As far as it regards me, PPC services on Google and on Bing Adwords represent my preferred choice when offering PPC services in my role as PPC Consultant in London. Your PPC Expert in London will always recommend you to run a Google Adwords campaign to complement your SEO services in London. This is due to the fact that Google represents the search engine with the highest market share of visitors around the world, which by default makes Google Adwords the main pay per click platform. As your PPC Consultant in London I will fully brief you on both the positives and challenges of running PPC services on Google Adwords. In the end it is all down to how well the fit between Google Adwords and your business! How much do Google ads cost and how is the CPC determined by Google? When Google Adwords started, many early days PPC specialists that embraced the new advertising platform were able to run very low cost PPC campaigns. In fact, there are many PPC experts and PPC specialists in London that I know of who built successful businesses using the Google Adwords model rather than just offering PPC services. As always, this new advertising model went mainstream and more and more internet marketing consultants entered the game up to the point that Google Adwords became a highly competitive online environment. Nowadays, I find Google Adwords costs quite high at times, though I must admit that if your campaign is set up and managed in a professional manner it will really worth it. Google Adwords cost depends on many factors but it generally revolves around the quality score of each keyword, the competition for that keyword and the expertise of your PPC specialist. You may easily assume that the more money you have the better your paid ranking position is but it would be the wrong assumption. While Google is a business with over 96% of their revenue from paid search they also understand that their model is sustainable only if they maintain and improve their visitors base, that is they deliver the best value results to the searchers. This is where keyword quality score comes into place. When optimising for keyword quality your London PPC consultant will mainly look at three areas: your ad text relevancy to the keyword and service, the cost per click and the landing page. The more relevant these three pillars are the lower your cost per click is (CPC) and the better your ranking position in paid search results. In simple terms, Google rewards you with better ranking and lower costs if your ad delivers what the searchers are looking for, Conversely, lower quality ads would be placed lower down the paid search rankings even if they bid and pay a higher cost per click…the idea is that no matter how much you bid on that keyword, if people are not clicking on it you will make Google no money. The 4th pillar determining the cost of your campaign is the expertise of your PPC specialist. A good, professional PPC expert in London will obsessively work on improving your click through rates, CPC, test various factors i.e. ads, CPC levels, modifiers etc in a quest to get the optimal CTR for the lowest CPC. And finally, the more competition for that keyword the more expensive it will be to bid on it…makes sense. Before you even get to your Google Adwords campaign your London PPC expert will have to fully understand your company, strategy, macro and micro, long and short term goals. Your PPC consultant in London will need to understand how will his PPC services integrate with your overall business objectives and how these objectives will translate in digital marketing KPIs. Once this step was completed your paid search / PPC consultant in London will conduct a keyword research to reveal the keyword that would best match your digital marketing KPIs. In brief, your paid search / PPC consultant in London will look for the right keywords with the right search volume and the right intent to convert that keywords and clicks to the action you would like your visitor to take. As an example, if you are a translator offering german translation services it makes sense that you would use a keyword such as “german translation services” as most people searching for this term are in fact searching for a german translator. By contrast, it makes no sense for you to bid on “online German translator” even though it may have a lower CPC and higher search volume as the intent of these searchers is to find a Google translate type of software. As part of your keyword research, your PPC consultant in London should at least carry out a Google keyword tool analysis (keywords and related ecosystem, CPC, competition and volume information), a scrapping of internet search engines for the most common used terms and a competition analysis (both brick and mortar and digital) including organic and paid search. Once the keywords have been agreed, your PPC specialist will start to set up and structure your campaign. Your London PPC expert / PPC consultant will set up different campaigns for the top level goals/services/products. He/she will then set different ad groups within each campaign (representing the products/services/micro goals related to the main campaign goal) and, within each ad group the relevant keywords will be added. A professional PPC expert will set up at least two ads per ad group as a way to A/B split test its efficiency and ensure that the modifiers set for each keyword (broad, exact match and phrase match) are reflective of the goals and intention of the campaign. One of the most overlooked action by PPC specialists & PPC Consultants is a comprehensive analysis of negative keywords, that is keyword you do not want your ad to trigger for. To take the example above further, you would like to ensure that your ad is not being triggered for a search as “Free German translation services” hence you will set a negative keyword for “free”. If you would like to learn more about Google Adwords cost and keyword optimisation please read my previous FAQ above this post. Finally, please bare in mind that this is simply an overview of how a PPC specialist, PPC expert or a PPC consultant would approach setting up your Adwords campaign, in reality entire books are written on Google Adwords alone…a detailed description of the Adwords platform, PPC process and Optimisation is beyond the purpose of this post for obvious reasons of course. Is the Google AdWords cost worth it? The Google Adwords cost is worth it! The key here is to ensure that your Google Adwords campaign is set up, monitored and managed by a professional PPC consultant. The downside is that professional PPC services are really hard to find, and I have met so many PPC experts / PPC specialists who stopped developing themselves long time ago. Most unsuccessful campaigns (and I have seen many) are being set either by inexperienced business owners, marketers or family members under a DYI approach…it does not work and they conclude that Googles Adwords cost is not worth it. Inefficient campaigns are also set up by inexperienced PPC consultants or SEO consultants who have no expertise in PPC services. The idea is…choose the right keywords with the right search volume and the right intent and you are already on the right path. Obsess over the structure of your campaign, settings, keyword modifiers, negative keywords, reach your target audience at the right time and you are a step closer. Improve your quality scores, test, refine, test and you will have a successful Google Adwords campaign. As always, this is an oversimplification but the conclusion is that a professionally run Google Adwords campaign is worth its cost! As a Digital marketer / PPC consultant in London I see far too often business owners who are looking for affordable SEO services & PPC services under the assumption that this is a guaranteed first placement that can be switched on and off instantly. If you read my posts on my London SEO services page you will already know that SEO is a long term strategy..it takes time, hard work and continuous focus and commitment. It simply isn’t a switch on /switch off alternative. Google Adwords though is ! So, use your Google Adwords as part of your overall digital strategy to complement your SEO services. This will ensure instant presence on first page in Google and Bing, hence meeting your short term goals, it will allow you to target keywords that you may not optimise your website for and to ensure that the right intent is applied to that keywords. In fact, it is common knowledge that well run Google Adwords campaigns have a far higher click through and conversion rates, mainly due to the ability to tailor your campaigns to a very granular level. Do get in touch if you are looking for more information from an experienced PPC consultant in London, award winning PPC specialist and Google & Bing certified PPC expert. Do I need a PPC Consultant or an PPC Expert? If you read all my posts in this section you will by now conclude that you need a PPC specialist to run your paid search campaign. For a start Google Adwords is a highly complex platform continuously evolving its numerous features. The most important benefit of employing expert PPC services is that you would benefit from the experience and knowledge of consultants that have run numerous campaigns…as all people savvy pay per click experts continuously learn, read books, blogs, news etc, attend specialised PPC conferences, test, refine and test again…I have seen far too many business owners and marketers waisting their money because they choose a DYI approach without understanding the depth and complexity, time, effort and knowledge a successful Google Adwords campaign requires. Very recently I have been asked to review a PPC campaign that was “successfully” running for over 5 years, or so the business owner claimed…within one hour I have managed to increase his interaction rate by 450%. Furthermore, this business was getting a significant amount of non-relevant clicks and enquiries, and in its main area of expertise it had little to no market share of the search volume. It took me two days to build his campaign from scratch, and over the past 3 months the amount of relevant leads increased by 515.32% per month. Furthermore, I have carried out a competitor analysis of this client and identified several great keywords that my client was missing on…So , I guess that yes….you do need professional PPC services! Another paid search channel I will recommend as your PPC specialist in London is Bing Advertising. Bing ads are an alternative to Google Ads and, in spite of its far lower search engine advertising market share, throughout my career as PPC consultant in London many advertising campaigns on Bing generated better results in terms of click through rate, cost per click or leads. Similarly, I ran advertising campaigns where Google Adwords outperformed Bing Adwords on many of the metrics mentioned. As your PPC expert I will always recommend you distribute your internet marketing advertising efforts between Bing and Google. This will allow you to split test results on key metrics and give us the necessary data insights to refine, improve or change our PPC strategies. Hence, if you are looking for PPC consultancy services in London do get in touch and I will be more than happy to answer any questions you may have. Bing Adwords represents the equivalent of the Google Adwords platform but for Microsoft’s Bing search engine. Compared with Google Adwords, Bing advertising is used less mainly due to its lower market share of users but also due to what is perceived as a less action oriented target market (it is a popular belief that action oriented visitors i.e. purchase, enquiry, leads etc are mostly using Google, while Bing visitors generally seek information). Please see the Google Adwords section for more on what Adwords is about and the PPC services I offer. Does Bing Adwords cost more or less than Google Adwords? The popular belief that many business owners, marketers and even inexperienced London PPC consultants hold is that as Bing has lower market share than Google, the costs of running a pay per click advertising campaigns is lower on Bing. This is simply a myth as in reality the cost of Bing ads is established through and impacted by the same process and factors described in the Google Adwords section: keyword quality scores, CPC bidding strategies, competition for the keyword and an experienced PPC specialist delivering professional PPC services. Throughout my career as a PPC expert / PPC specialist in London I have had mixed results in terms of Bing ads costs…sometimes lower but many times higher as well than the Google Ads. It really depends and revolves around the PPC factors described above. Please do read more on how the Bing Adwords costs in the Google Adwords cost FAQ, the same rules apply to Bing Adwords as well. And of, course do get in touch should you require advice from an experienced PPC specialist in London. How does Bing Adwords work? The PPC principles described in the Google Adwords section apply to Bing ads as well, please read more in the Google Adwords section. The really clever feature that distinguishes Bing Adwords from Google Adwords is the Import feature within Bing. With this feature your provider of PPC services is able to import your current Google Adwords campaigns with just a few clicks! This is a very clever feature for several reasons. The obvious benefit is the lower time spent by your PPC specialist on building your Bing PPC campaign. The second really interesting benefit is that your PPC expert can A/B split the results of your PPC advertising campaign on the two main Internet search engines ! This could in turn lead you and your PPC specialist to change your pay per click strategies should Bing deliver better results vs. Google and vice versa in areas related to whole PPC campaigns but also to an ad group, keywords, demographics and many more other levels. You really have to give it to Bing: they could have been proud and not involve any reference to Google Adwords. Instead, they decided to be humble, acknowledge Google’s PPC dominance and stole market share from them this way! To pick up from the previous post on Bing, as a PPC consultant I would strongly encourage you to run Google Adwords PPC campaigns and Bing ads at the same time. What this will do is giving you an extra level of A/B split testing at a search engine level as compared to the split testing made available by Google at an account level only. By running this kind of A/B split testing your PPC specialist will most likely identify opportunities to improve your overall pay per click results. Some examples would be lower cost on one of the search engines, better click through or/ and conversion rates on certain campaigns, ad groups, keywords, demographics, leads generation and so on. There really is no reason why you should not give Bing ads a try unless you have a low budget and you would rightly decide to focus on one search engine alone. For more detailed information on how to use Bing ads, please see the relevant Google Adwords section – the same principles apply to Bing ads as well. And of course, you can always get in touch if you need the services of a professional PPC specialist in London! Do I need a PPC Specialist or PPC Expert? As I was mentioning in the Google Adwords section a DYI campaign will most likely be more costly, less efficient and the lost opportunity cost of lost leads and sales will be far higher than the fee you will pay to a professional PPC services provider. Hence…yes, you do need professional UK or London PPC consultancy! Please read more on this subject on the dedicated section within Google Adwords, a case study is included as well. While consulting for PPC advertising or interacting with other PPC consultants in London I am always surprised by the degree to which Amazon advertising is overlooked by these experienced PPC Specialists. Amazon has grown to be a search engine in its own right, and with an active base of over 285 million customers represents a untapped opportunity to both grow market share and create new business models. I have been providing PPC consultancy services for many of my clients who were looking to leverage the power of Amazon. My internet marketing advertising on Amazon included product boost advertising campaigns, brand identity campaigns and advertising campaigns directed towards increasing the number of downloaded apps. Hence if you are looking for an experienced PPC consultant in London, who can help you in unlocking the power of Amazon do Get in Touch. The Amazon Advertising Platform (AAP) is one of the most overlooked PPC platform I have come across throughout my career as a PPC specialist in London. Having had many conversations with professional and experienced PPC consultants in London I was most often surprised of the little to no knowledge about this widely untaped PPC opportunity. PPC specialists across London and UK do not think about Amazon as a search engine, however with over 225 active users Amazon represents an internet search engine in its own right! So what is Amazon PPC advertising? Well, in a nutshell Amazon advertising works on the same principles of Google Adwords and Bing Adwords advertising, up to a point…it employs a pay per click business model allowing sellers on Amazon to reach searchers on the Amazon websites across the web and in the mobile apps. It basically pushes your products at the top of the results for the relevant query! Get in touch to find out if your business would benefit from the services of an experienced PPC specialist / PPC Consultant in London. Amazon advertising offers tailored PPC services designed to achieve any of the following goals: increase your product sales on Amazon, increase your book sales on Amazon, drive traffic to your website and increase mobile applications downloads. There are various type of ads that Amazon makes available to you and your business. Product display ads appear on the product detail page, on the right rail of search results, at the bottom of search results, on the customer reviews page, on the read all reviews page, at the top of the offer listing page and in Amazon-generated marketing emails such as follow ups and recommendations. Headline search ads by contrast appear on the top of search ads on Amazon’s first page every time you win the auction for that keyword. Sponsored product ads are keyword targeted ads placed on a variety of places throughout the Amazon websites and designed to attract attention to your product from visitors searching for your keywords…it is the closest thing to the way Google ads and Bing ads work. As a PPC consultant in London I can advise you what type of PPC services would best fit your business and goals, so Get in Touch! How much does Amazon advertising cost? The Amazon advertising cost differs depending on the type of ad you and your London PPC specialist will be running. The principles for determining your ranking position are similar from a concept point of view with Google and Bing Adwords’ principle. On Amazon Advertising however the focus is somehow more on the biding CPC rather than on user experience. Specifically, when putting forward a bid for a product you enter an auction…your ranking position depends mostly on wether you win the auction or not with little focus on user experience (i.e. quality score). Of course, keyword and ad relevance is also being advertised by Amazon as a factor but the reality is that the higher you bid the more chances you have to outbid your competitors, win the auction and rank better. Let’s now turn our attention to the different costs associated with different ads run on the Amazon advertising platform. If you are running an Amazon display ad, than the minimum CPC accepted for product displays is $0.02 with a minimum $100 budget for all campaigns and $1 per day. For a headline Amazon ad the minimum CPC accepted is $0.10 and a minimum $100 budget per campaign and $1 per day. There is no minimum CPC cap for Product sponsored ads and the ads will be served depending on your daily and monthly budget. And don’t forget…if you are looking for more information on what Amazon advertising can do for you and your business then get in touch with a professional PPC specialist in London! Why should I use Amazon advertising? You should use Amazon advertising if your product or service is relevant to begin with. Secondly, as the Amazon platform is still a highly untapped PPC opportunity as compared with Google or Bing Adwords, this offers both competitive advantage and a fantastic opportunity to improve your sales. Thirdly, Amazon advertising is a great growth hacking channel. Fourthly, if your purpose is personal branding rather than profit that you are in the right place – the more you bid the more exposure your book, product or service will get! Amazon advertising is simply one of that great PPC opportunities that not many people know about (as opposed to Google and Bing Adwords) but that you cannot afford to miss. I am an experienced PPC specialist in London who has been running Amazon paid services with success for many brands…Get in Touch for an initial conversation! Do I need a PPC Consultant to advertise on Amazon? From a certain perspective Amazon Advertising is easier to manage on your own as, compared with Google and Bing Adwords you will not need to concern yourself with factors as quality score…the higher you bid the easier to rank. This being said, Amazon advertising still involves complex tasks related to keyword research, A/B testing, modifiers, types of ads and placements, and so on. It is far from straight forward and I would strongly recommend you to use a professional PPC consultant in London who is specialising in Amazon advertising…your return on investment will worth it! My advice depends on the type of campaign and the budget you have. If you are looking to promote a book and on low budget…give it a go! If however you are developing a new business model on Amazon or run a high volume growth hacking campaign then you can not do without professional PPC services from an experienced PPC specialist in London. eBay advertising represents yet another untapped opportunity to grow your business or create new business models. Just as in the case of Amazon advertising, throughout my career as a PPC Consultant in London I have found most of the PPC specialists I spoke to and clients completely unaware of the opportunities presented by eBay advertising. This is of course a significant opportunity for any business with an eBay relevant product, and as your internet marketing consultant I would review the relevance of this search engine advertising opportunity as well. Hence if you are looking for a professional PPC consultant in London, with a high commercial focus on results do Get in Touch. eBay advertising represents another overlooked opportunity for brands and companies to bring their products in front of over 159 million users targeting the right people, at the right time with the right behavioural intent (i.e. buy). It offers both promotion via ads and programatic display! Just as in the case of Amazon advertising most of the paid search consultants I discussed with have very little to no awareness of this great digital growth medium. And, just as in the case of Amazon advertising all you need to do is search online for services offered by any digital marketing agency in London or PPC specialist and you will quickly realise that their PPC services are generally limited to Google Adwords, Bing Adwords, Facebook Advertising and LinkedIn ads…what a great opportunity to get ahead of their clients and steal market share via Amazon and eBay PPC advertising! Get in Touch with a professional PPC specialist in London if you would like to explore the growth hacking opportunities offered by eBay advertising! How does eBay advertising work? As opposed to Amazon advertising where a pay per click model is employed, eBay uses a pay per sale model. What this mean is that you will only pay a commission out of the total price of your item when the item is being sold. 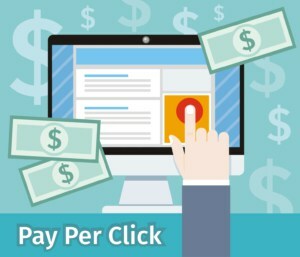 So the benefit is that you only pay when you sell, the downside is that you pay a higher commission than you would pay for a cost per click model. In fact the seller can set its own rate of commission he/she is willing to pay at anywhere between 1% and 20%. Depending on the ad rate set by the seller, the ads would appear on the first page in 4th and 5th position and then lower down as the ad rates set by the sellers decrease. eBay suggests that other factors are taken in consideration for placing purposes but in reality the higher the rate you set the better chances to be placed in a prominent position. How much does eBay advertising cost? As described already Ebay advertising works differently than your normal PPC model. With eBay the seller sets a rate of commission that he/she is willing to pay per sale, anywhere between 1% and 20%. The higher the rate the better the chances to gain better ranking positions. Hence the first factor is % of the sale, you can easily calculate what this would mean for your margins depending on the products you would like to sell. The second factor influencing the cost of eBay ads is the level of competition …the more companies with similar products the more pressure to raise your ad rate, hence the higher the cost. Conversely, lower competition means lower ad rates hence lower costs. An experienced PPC specialist or PPC consultant in London will be able to optimise your campaign and get the best ROI out of it! Why should I use eBay advertising? Well, for one thing eBay advertising represents another highly underused pay per click opportunity to get ahead your competitors who are very likely to have little to no knowledge of this PPC growth opportunity. How do I know? Ask any PPC Consultant in London, or any SEO Agency in London what services they offer, search their websites and their services and you will quickly realise that they offer no Amazon or eBay advertising services…this is of course a missed opportunity for their clients and an equally great growth potential for your business. As the competition is lower, your cost is lower as well and the demand higher! As your London consultant on PPC services I would of course asses whether eBay is the right opportunity for you and your business goals. Do I need a PPC Expert to run my eBay advertising campaign? As suggested in the case of Amazon advertising as well, your decision of employing professional eBay PPC services depends on the purpose of you campaign. If you are looking to promote a product or service and on a low budget then by all means go ahead and try it! If on the other side you are looking to use eBay advertising as a way to grow your larger business or build a new business model then you will definitely need professional help to ensure that you accurately leverage and asses the potential of eBay advertising. As your internet marketing consultant / PPC specialist it is essential that my paid search aligns to your short and long term goals. Combining long term strategies such as search engine optimisation with immediate results via paid search & PPC services will deliver both quick and sustainable results. At this stage we will agree wether we will be running paid search on Google Adwords or Bing Adwords, the right mix and if paid search is the right strategy for your company in the first place. If the latest is true, as part of our strategy plan we will also conduct a comprehensive keyword analysis, allowing us to understand the most relevant terms we will be bidding for (behavioural intent, volume potential, competition, cost etc). I am an experienced PPC consultant in London and guarantee the transparency and integrity of my PPC services at all times. It is now time to implement our paid search plan. Wether we run advertising on Google, Bing, Amazon or eBay the very first step I will take as your PPC consultant in London will be to define and identify the right audience, with the right intent, at the right time to be reached. I will then start building audience segments, create campaigns, ad groups, ads, keyword match types, extensions, bidding strategies, landing pages, negative keywords, demographics rules and so on. I will also ensure that comprehensive tracking is in place to measure results. This will of course include traditional tools such as Google or Bing Analytics, but also website visitors’ behaviour on page via heat mapping, events, A/B split tests and more. Once the preparation work completed I will launch your paid search campaign. As your PPC Consultant in London I will regularly monitor your search engine advertising campaign. I will review data such as individual campaign, ad groups and keywords performance i.e. click through rate, bounce rate, time on site, market share, cost per click and per acquisition, quality score, ranking, A/B split testing of ads, funnels, heat maps and much more. No stone will be left unturned to ensure that your campaign is optimised for maximum clicks, relevant results and the lowest cost per click possible. As your PPC Consultant your business is my business, and I will treat it as such. If you are looking for a professional and driven PPC Consultant in London then you can get in touch either by email, call or by filling in my contact form. We will meet, have a coffee, discuss about your company, your goals and any initial thoughts you may have on your paid search campaign. I may share some ideas but more likely I would take the information you provided, do my homework and come back to you with some ideas and a proposed strategy. I will consider your budget, your micro and macro goals and the right paid search mix to maximise the returns of your paid search engine advertising campaign. If you decide to employ my PPC services we will go ahead and move through the process I described already. Regardless of the outcome of our conversation, you will most likely have gained a far better understanding of the paid search opportunities available to you, hence Get in Touch! Also read about my content creation services, reputation management, data insights and SEO for translators services.